Located in a popular location, you will find this spacious and well-presented 3-bedroom brick veneer home. On a large 4260m2 allotment, the home would suit families, investors, 1st home buyers or retirees who still need some extra space outside. All 3 bedrooms have built-in robes, with the main also having an ensuite. The very large kitchen offers plenty of bench space, double fan-forced oven and large fridge space. The adjacent dining area has a wall furnace, and entry door from the single garage for added security. Ducted evaporative cooling, 3-piece bathroom and gas hot water service. Outside is a great-sized backyard with plenty of shedding. The main shed is 10m x 6m with power and concrete floor, great for the home handyman or storage for the caravan, boat or trailer. 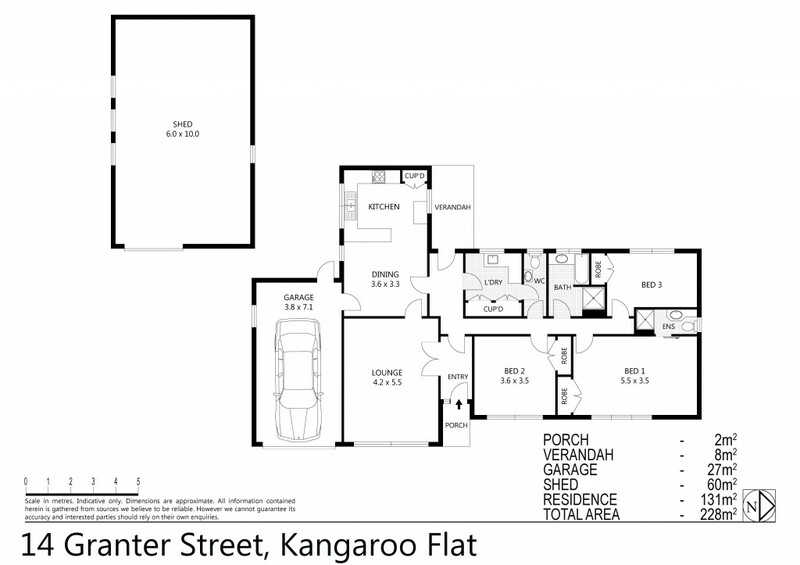 Just a short drive to schools, Kangaroo Flat shopping centre and sporting facilities. A well-presented home in a very popular location with a very spacious allotment. Inspection is a must.